The perfect stimulation game for young children, the Touch & Match board fits in well to nurseries and primary schools. The simple and effective design asks players to identify and match the 12 tactile turned hardwood counters with the different textured top surfaces. Whether you're looking to enhance their playtime or create a sensory stimulus during your next session, this could be the perfect option. 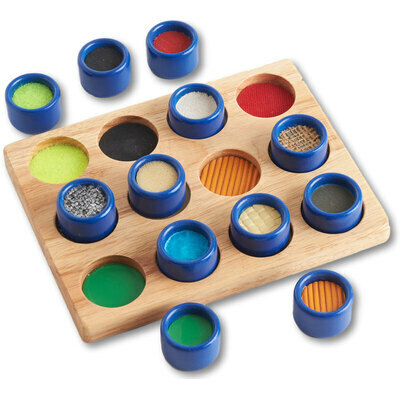 From waiting rooms through to classrooms, this engaging touch & match game can also be used to develop hand-eye-coordination and matching skills. Here at Gompels, we have a range of games alongside our touch & match game to suit all ages. From our Match The Sayings board through to Jigsaw Puzzles with a range of different designs, you'll find the perfect option for your business.